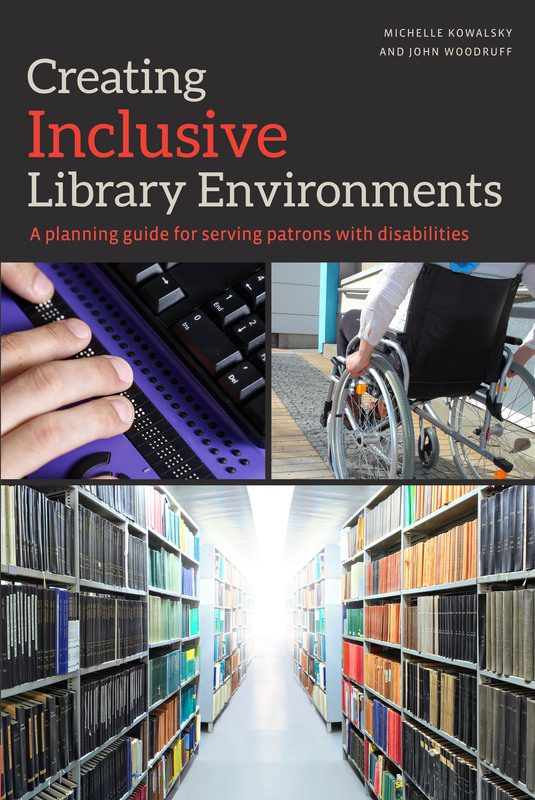 "Creating Inclusive Library Environments: A Planning Guide for Serving Patrons with Disabilities"
"Assistive Technologies in the Library"
Kowalsky is a librarian and professor at Rowan University, Glassboro, New Jersey. Her most recent activities have included an upgrade of Campbell Library’s Digital Learning Center with software and furniture recommended by students with disabilities; development of information literacy instruction and reference services in a variety of subject areas; and supervision of dissertation research for doctoral students in the College of Education. Prior to working in academia, she worked as a public librarian, a corporate librarian, and a K−12 school librarian and teacher for over 20 years. Woodruff is Director of the Academic Success Center and Disability Resources at Rowan University, Glassboro, New Jersey. His most recent activities include outreach to faculty and students to increase empathy for the varying needs of students; development of year-round speaker programs, activities, and events to promote understanding on campus and in the local community; and leadership of faculty-led and community-led strategic partnerships for awareness, training, and mentoring.